1. The institution of autocephaly expresses in an authentic way one of the fundamental aspects of the Orthodox ecclesiological tradition concerning relations between the local Church and the universal Church of God. The profound connection between the canonical institution of ecclesiastical autocephaly and Orthodox ecclesiological teaching concerning the local Church justifies the concern of the autocephalous local Orthodox Churches to solve existing problems with regard to the correct functioning of the institution, as much as it does their willingness to participate, through their detailed contributions, in the enhancement of this institution for the advancement of the unity of the Orthodox Church. 2. The perichoresis between locality and universality, faithful to Orthodox ecclesiology, determines the functional relationship between the administrative organization and the unity of the Church. Because of this, complete agreement was established with regard to the place of the institution of autocephaly in the life of the Orthodox Church. a) The mother Church which receives a request for autocephaly from an ecclesiastical region which depends on it evaluates whether the ecclesiological, canonical and pastoral conditions are satisfied for the granting of autocephaly. In the case where the local synod of the mother Church, as its supreme ecclesiastical body, gives its consent to the request, it submits the proposal on this subject to the Ecumenical Patriarchate in order to seek a pan-Orthodox consensus. The mother Church informs the other local autocephalous Churches of this. b) The Ecumenical Patriarchate, according to pan-Orthodox practice, communicates by patriarchal letter all the details concerning the said request and seeks the expression of a pan-Orthodox consensus. 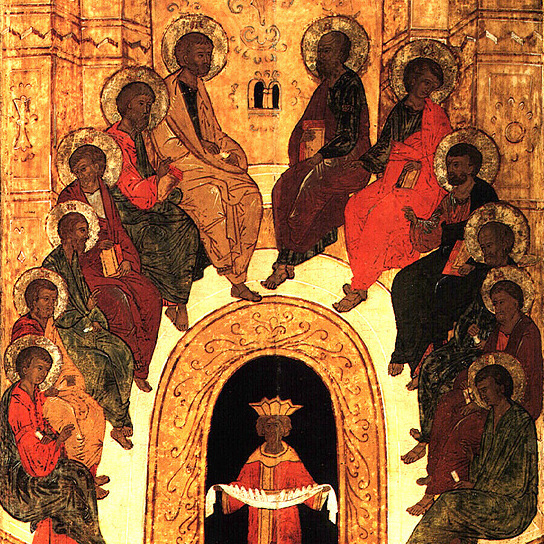 Pan-Orthodox consensus is expressed by the unanimous decision of the synods of the autocephalous Churches. c) In expressing the consent of the mother Church and the pan-Orthodox consensus, the Ecumenical Patriarchate officially proclaims the autocephaly of the applying Church by the publication of a patriarchal Tomos. The Tomos is signed by the Ecumenical Patriarch. It is desirable that it be co-signed by the primates of the autocephalous Churches, but in any case it must be by the primate of the mother Church. 4. The local Church proclaimed autocephalous is integrated into the communion of the autocephalous Churches as a full member and enjoys all the canonical privileges hallowed by pan-Orthodox practice (diptychs, commemoration, interorthodox relations, etc.). Note: The content of paragraph 3c was referred for further scrutiny to the coming Interorthodox Preparatory Commission, which will seek the consensus of the Orthodox local Churches on this question, thus completing its work on this theme. Reprinted in George Beorin and Philip Tamoush, eds., A New Era Begins: Proceedings of the 1994 Conference of Orthodox Bishops in Ligonier, Pennsylvania (Torrance, CA: OPT, 1994) 115-117.